Colombo, Sri Lanka -- From the earliest of times, men have speculated on the question why we are born and why we die. In ancient times, phenomena such as rain and fire were attributed to gods associated with them. There was a creator god responsible for birth and another for destruction. With the passage of time, there developed the concept of one God, all powerful and omnipotent, who is responsible for our birth and who would judge our life at death and reward or punish us for our good and harmful actions, respectively. The answer in Buddhism for our birth is that we are caught in a cycle of births and deaths called Samsara, whose beginning is inconceivable. The Buddha declared that it is because of our delusion of the true nature of things, that we have the desire for life at the moment of death where ordinary people grasp for life. Consequently, we are re-born and continue our journey in Samsara with all its unsatisfactory features characterized by Anicca, Dukkha and Anatta — impermanance, unsatisfactoriness and absence of a permanent, unchanging, eternal, self or soul. Man consists of mind and body and from a Buddhist standpoint what happens at death is that the physical body ceases to function. But what happens to the mind which is the other part of man? The mind is a flow of thoughts. It has no location in the physical body and the Buddha did not indicate where the mind is actually located. With the death of the physical body, the mind does not cease nor the mental forces and energies. In fact, in Buddhism, it is said that the will, the desire, the thirst to live is the greatest force and the greatest energy in the world and does not stop with death but continues to manifest itself in another form, producing re-existence which is called re-birth. Presented differently, the most precious thing for all living beings is their own lives. They would fight to the last or run away to save their lives. Proceeding from the known to the unknown, it could be presumed that at the moment of death although man is physically weak to resist death, he would mentally attempt to survive and is unlikely to face death with calm resignation. The desire for life is so strong that man will mentally grasp (upadana) another viable place such as the fertile ovum in a mother's womb since the present body can no longer support his life. Thus, the psychological process of life (bhave) will continue in the newly found place and birth (jati) would soon follow. This is the process explained in the Buddhist Law of Dependent Origination. Conditioned by craving, grasping arises; conditioned by grasping, becoming arises; conditioned by becoming, birth arises; conditioned by birth, old age, disease and death arise. The first mental strings of the new being in the womb of the mother will be the first thought. The process continues with the last thought of the previous life followed by the first thought of new life. The distance between the place one has died and the new place of birth is of no consequence. Once the Buddha in reply to a question said that to think of two cities, one close and other far away, takes the same time. Similarly, the time taken for the new birth, which follows the last thought of the previous life is the same, irrespective of distance. Thus, from a Buddhist standpoint, one is born not at the time that the mother delivers the baby but at the time that mental activity in a rudimentary form commenced in the womb. Experiments have shown that if the mother is tense and worried during pregnancy, it has an adverse impact on the baby. It is also said that if the mother listens to a particular music frequently during the pregnancy period, sometimes when the same music is played after birth, there appears to be an element of recognition of that music by the baby. There is another interpretation of re-birth called Gandhabba where it is argued that at death, the deceased looks for a suitable place to be re-born. However, this position does not appear to be consistent with the doctrine of Kamma, an important part of the Dhamma. One’s birth and existence in the new life is largely determined by one’s Kamma, both in the previous life and the lives before and the last thought of the previous life. One does not have a choice regarding the next birth. If there was a choice even a person who has led a life of villainy and extreme selfishness would desire a re-birth in a comparatively favourable environment. In this connection, it should be noted that there is a possibility of one being born as a spirit whose existence is very brief between one human life and another. Such a case is mentioned by well-known Buddhist scholar, Francis Story in his book “Re-birth as Doctrine and Experience”. In such a case, there is no interruption in the flow of thoughts from one life to another. The spirit life is a recognized plane of existence among the 31 planes of existence mentioned by the Buddha. It is also said in the Dhamma with regard to re-birth that one’s character is conditioned not only by one’s parents and the environment in which one lives, but also by past actions of previous lives. The past actions of previous lives, both wholesome and unwholesome, are recorded in the mind and they influence one’s character and talents in this life. One’s knowledge, skills and spiritual progress developed in one life could be carried to the next life. It is indicated in the Dhamma that the Buddha at a tender age engaged in the meditation on the breath (Anapana Sati) adopting the correct posture. He was not trained to do so in that life but that was a skill developed in previous lives. This is why some children reveal talents at a very early age not gathered in that life. We notice some children take to music, swimming or meditation with alacrity which could be attributed to talents developed in previous lives.It is also mentioned in the Dhamma that the last thought of this life plays a crucial role regarding the next place of birth. If one has made a serious effort to develop and maintain a purified mind then in all probability a wholesome thought would be the last thought. The development of wholesome thoughts is an important ingredient in the practice of the Dhamma. 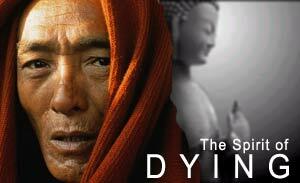 According to the Dhamma all living-beings, humans, animals and others, are subject to death. The Arahats or even the Buddha Himself are not exempt from this law of nature. “How is there no re-birth in the future? By the cessation of delusion; by the arising of knowledge (Vijja) by the cessation of craving, there is thus no re-birth in the future”. So long as man is attached to existence through delusion and craving, death is not his end. He will continue his career in the rough waters of Samsara with its painful nature. It is only through the eradication of delusion and craving for sense pleasures and existence, the will to live, that the cycle of existence ceases.